International Premium rate numbers from Net-Promotion Telecom Services provide additional income for your organisation. You decide how much the charge will be,the caller pays and then you earn a rebate on the calls made. This service could be used for a competition line or a service support line that offer help or advice. This service can be connected directly to a live operator or to automatic messages or answer system. These number have no line rental or admin charges. are telephone numbers charged with a higher price as payment for a premium rate service provided with the number. A part of this additional charge will be paid out to the Premium Rate Service Provider. Premium Rate Services are used for many applications, like tech support, televoting, TV-call-in games, or adult content. All our Premium Rate Codes are without chargebacks, without activation costs, without monthly fees. We pay on the generated traffic. The same Codes, at the same rate can be used at Maximum connection (64K) for Internet. 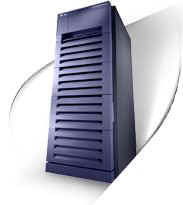 This system is indipendent from the Country of allocation of your server and it is with no extra cost. With this system you can have the opportunity of live checking update of the stats of your traffic. The Service consists in the rerouting via IP of the call coming from dialler of the final user to Access Server (CISCO-RADIUS) which is set up in our central (Satellite). At the moment of connection will be checked the credential given from the dialler (Username and Password of each vendors) to the Server o authentification (TACACS), and an IP address will be given to the PC of final User. The dialer temporarily disconnected the PC user from their existing ISP and the access server is automatically dialled in a LAN cabled from Premium Rate Network to the Content Server. IVR services supplied by Net-Promotion Telecom Services are rendered from its own server centre. Using Dialogic technology, and with a capability of more than 2000 lines, set on a unique platform, it makes it possible to carry large TV based operations, while sharing the same data base and eliminating the need to overflow onto third party centres. This interactivity is largely based in tones as a proven solution of the highest efficiency and lower error ratio. Besides, the system offers speech to tech technology in many different languages. The prices for these IVR services are highly competitive, starting at 0.02€/min. Currently, Net-Promotion Telecom Services sustains a very complete IVR offer, which covers practically any need there might be. In addition, our development team is willing and able to create any custom made solution at the clients requests. Companies running recorded services, such as Horoscopes or Racing tips services for example, can upload their recorded content real time into the IVR system. Companies running Location Based Services can use the IVR service to capture and deliver real time end user requests for Location specific information. Companies running live competitions, can accept answers via an premium code number, and generate revenues from callers. Service Providers (SP) no longer need to think of setting up their own platform which has a fairly high cost and resources incurred. Platform may be completely outsourced to Net-Promotion expertise to handle the technical setups and maintenance. Therefore SP will only be responsible to market their branding services to their own channels and their marketing efforts in various media platforms. We offer live Arabic adult chat and various interactive products in Arabic. We also offer Italian, French, German, Spanish, Hindi, Hurdu, Chinese (Mandarin), Malaysian adult live chat. A leading voice chat dating community and platform provider which furtherance businesses to achieve their community growth that nurtures their brand beyond their boundaries. We focus in bringing our partners to deliver their organizational targets and quality partnership. Net-Promotion's dedicated teams are driven to generate your new revenue streams and benefit the global voice chat dating traffics derive from our distinguishing profile. With our advantageous geographical locations, we believe in being small with butterfly effects. Our ability to seek partners' needs with a flexible delivery platform brings new eventuation networks which allows you to recognize us as your valued partner. Your journey with us includes the innovative solutions to maximize your growing opportunities and dominate your competitions.We provide the technical, econometric, application and the community. All that critical experience could be shared instantly in this complex industry compelled by our significant relationship. We provide the complete decision making and be your most valued global partner . Our target countries: USA, Asian community (China, Singapore, Philippines) Europe. Some of available terminations, for others Countries please contact us.